After an exciting night at TELCA in the Honourable Artillery Gardens, we are elated to announce that our newly appointed director has been awarded the Energy Live News 2016 Business Person of the Year award! We’re incredibly excited that Kelly Ivison has been recognised in the prestigious energy industry award scheme, TELCA, and can think of no one more deserving of the prize. Kelly joined the business in the early days and hasn’t looked back since. She has persistently committed more than anyone could ever expect from a team member, putting her other commitments on hold when it has been needed. She has been a key driver in our growth and continues to aid it through her innovative and tactical approach to objectives. She was only promoted to the position of director at Exchange Utility in March 2016 and has since been a driving force behind our workforce expansion, new site establishment and culture maintenance. 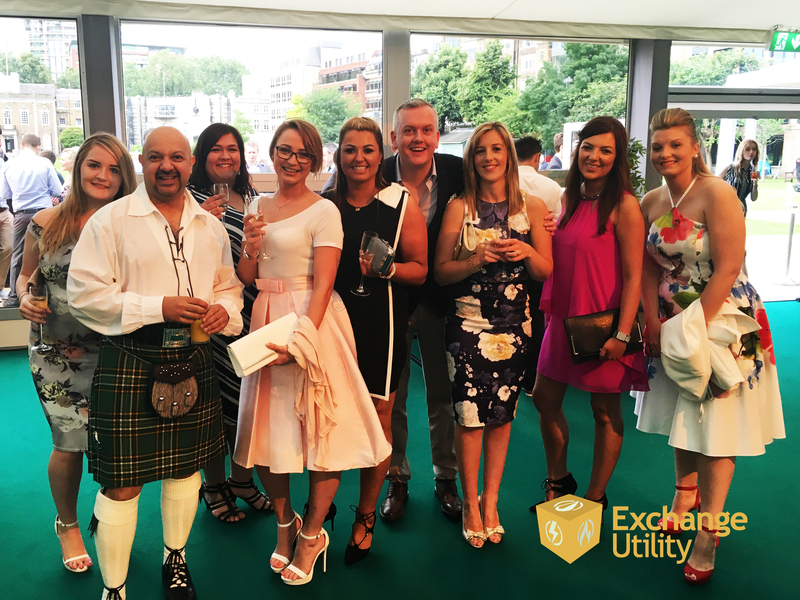 We had a fantastic night at The Energy Live Consultancy awards and lavish garden party, followed by the award ceremony where we enjoyed socialising with some of the best in the industry! What an amazing event and venue for this year’s TELCA ceremony. This TELCA award gives recognition to all of Kelly’s hard work at Exchange Utility and her huge achievements within the business. The improvements she has made to both our culture and the way in which we work has vastly enhanced our business and her drive will undoubtedly propel us to even bigger heights. Well done Kelly! We’d like to say a huge thank you for all involved in the organisation, judging and planning of TELCA. It was an incredible night for us and we are so humbled and proud to come away with this award. It’s a dream come true for us and we are grateful for all who have supported us. Congratulations to all the winners, nominees and finalists of the TELCA 2016. It was an unforgettable evening. Given this year’s success, we’re already looking forward to next year’s Energy Live News Awards and would recommend the experience to any other businesses looking to make an impact on the energy world.